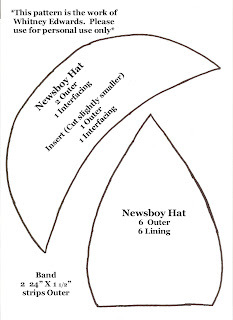 Pattern for the Whitney Sews Newsboy Hat Tutorial. Click the photo to enlage and save to your computer. Then print with 'fit to page' or 'none' selected for scaling. Cut the pattern out just inside of the black outlines. You make it look so easy. I love your tutorials. Thaks for the pattern. I made one but forgot to enlarge the pattern and it turned out smaller than my head but it was cool! Love the look of this hat. we have a sewing group at church and we make hats for cancer patients - this is a great pattern! Can hardly wait to brings some ready made cut outs for hats to sew, Thanks! Hi, I want to make one and I printed the pattern out on an 81/2 by 11 sheet of paper. Is this going to make a "smaller than my head" hat, or is this the correct size? I just don't want to get all the way finished and be disappointed. thanks! I love this! I want to make for myself and my friend. We both have small heads. 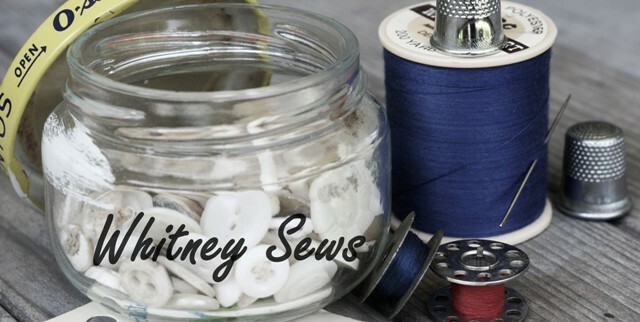 Whitney, you said you have a small head also, and that you just use larger seam allowances. What size seam allowance do you use? i luv this but can u please please please make a pattern tutorial on something thank!!!! I am going to make some from old jeans, cause I can NEVER find denim hats to go with them. To adjust the pattern to your size try this. Make a single long band of card stock or folded newspaper about 25 inches long and 1" wide. Take a paper clip and secure the band into circle. Try the band on your head,adjusting the overlap until you get the fit you want. Mark the band at the overlap, unclip and lay the band flat. This length plus 1 and 1/4 inch for the two seam allowances will be the length of your band. Divide the length that you found by 6 and add 1 and 1/4 for the two seam allowances to find the length the base of each curved piece. Thank you Whitney for the free pattern. For reference: the straight edge at the bottom of the sort of drop-shaped piece should be four inches in length when you print it out. I accidentally made one of these that is way too small, because my printer automatically adds a half-inch margin to everything. But I made one that is the correct size, and it's really cute on me! Thank you so much, Whitney! My husband and I are dressing up as Mary Poppins and Bert for Halloween, and I just made him a simple black felt version of this hat for his costume. It will be perfect! Thank you I am a breast cancer patient and it fits beautifully. This sooooo beautifully Awesome!!!! Thank you for being so kind and generous and sharing!!! I see this pattern is for personal use only. May I use this pattern to make chemo hats and give to someone going through chemo? I will not be ever be charging anyone for the hat. How can you say it can't be used for selling? It's exactly the same as a Vogue pattern I have, and besides, the law is very clear on this. There is no copyright on products made with a pattern, just the pattern itself (assuming it's really original). I have never even seen a vogue newsboy hat pattern, so there is no way I could have copied it. 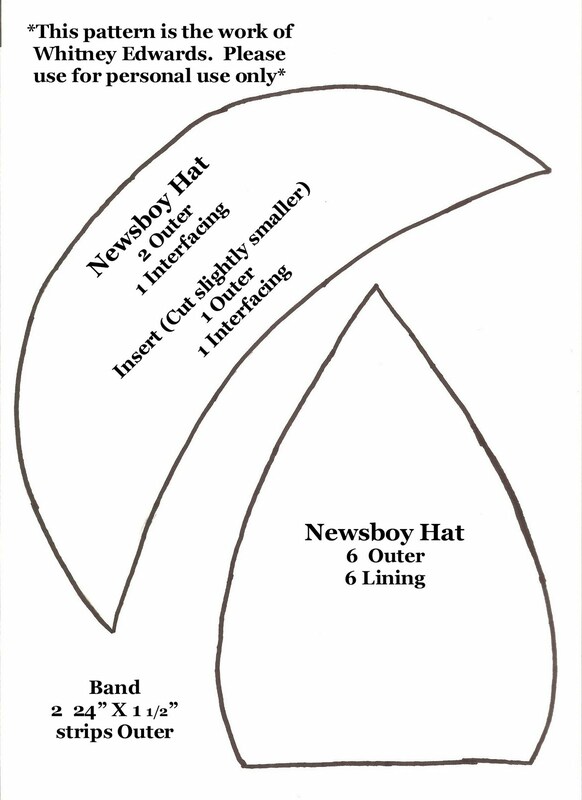 However there are only so many ways a 6 paneled brimmed hat can be made so all newsboy hat patterns will look similar. Since the pattern is being provided for free I can ask people to not sell what they make from it. The majority of people are honest and honor my request. If the pattern was purchased, like the ones I sell in my etsy store, the rights to sell are then given to the pattern purchaser. Thanks so much for the tutorial and pattern. I am having trouble with the pleats in the band. Any thoughts on what I'm not doing right? Does the pleat only show on the inside? Hi Whitney, I am wanting to make this hat for my granddaughter who loves hats! I measured her head and it measured 23 & 5/8. Will this fit or do I need to make it a little bit bigger? If so, how much? Thinking of Buying a Vintage Machine?